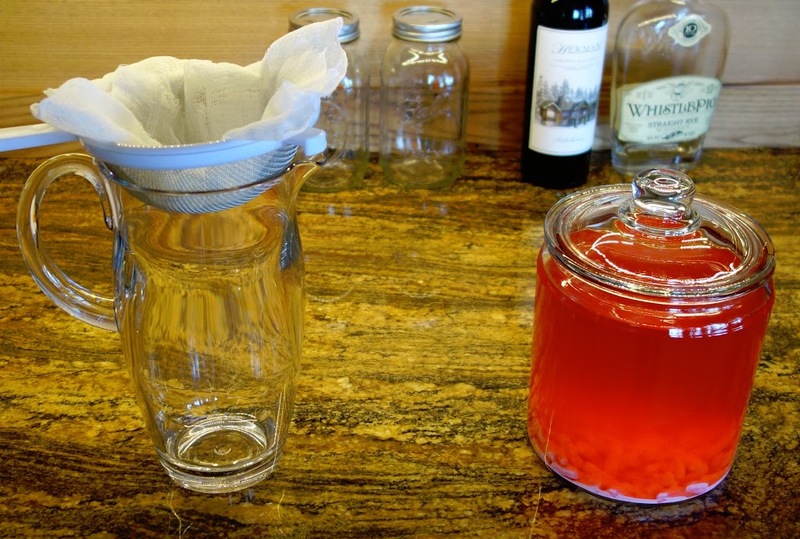 Don’t be intimidated by infusions. While they take a little time, they are very easy to do and offer up some tastes that you just can’t buy. I spent many months last year experimenting with infusions, several of which I’ll share with you here. 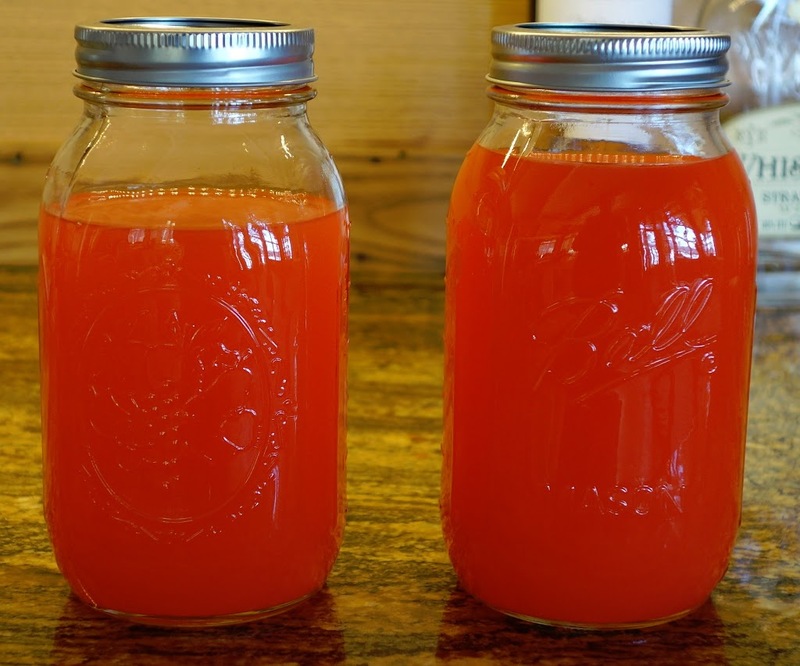 Today, I’ll explain how to make my absolute favorite, the Hot Tamales Infusion. That’s right, Hot Tamales, as in the candy. 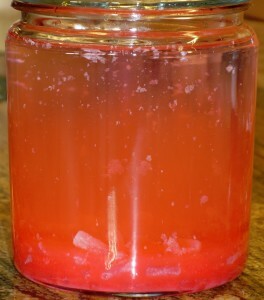 Yes, you can infuse candy, although to some extent, you’re just dissolving it. The end result of this infusion is pure alcohol and some sugar. It won’t taste like it, but I suggest you warn your guests. They’re going to get trashed if they don’t keep that in mind. Hot Tamales candies without their flavorful skin and their chewy parts partially dissolved by the alcohol are truly gross. Discard them with whatever other nuclear waste you have. 1.75L of Vodka. I’ve tried it with high end vodka and with really cheap stuff. I’m not sure why, but the middle-grade vodkas work best. I use Stolichnaya for all my infusions. 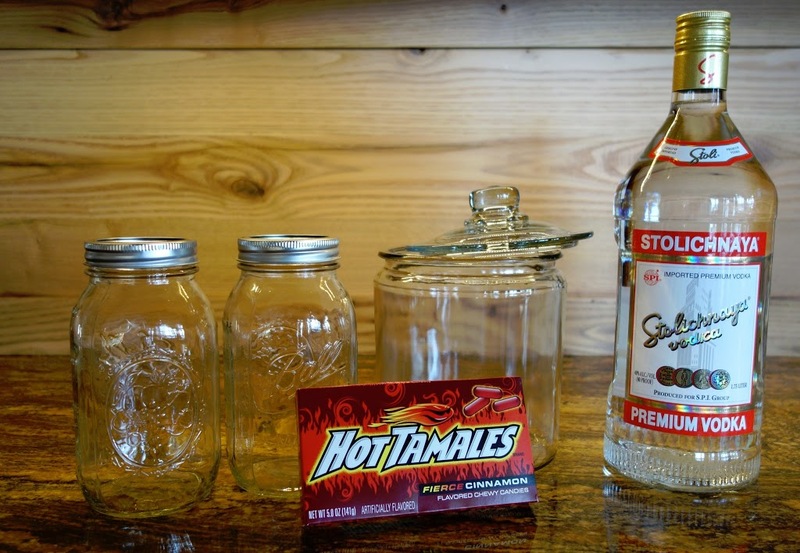 You’ll also need a container large enough to hold all the vodka and the two boxes of Hot Tamales for the infusion as well as two 800ml Ball jars or similar to hold the final product. Additionally, you’ll need a container to strain the post-infusion concoction into along with a strainer and some cheesecloth for filtering. There is a debate among bartenders who do infusions about whether your infusing container needs be airtight or not. Mine are not. The lid closes securely, but air does pass through. Works well for me. Preparation time is roughly 24 hours, although your part of it will total about half an hour. Chemistry is your friend. Dump the entire 1.75L of vodka into your infusing container then add the Hot Tamales. Cover and let the magic begin. Things start to happen pretty fast. The vodka starts to take on the unnatural color of the Hot Tamales. If you start salivating at this point, that is normal and to be expected. Wait about 24 hours (this is a rough number, you could probably do it in less and it doesn’t hurt if you wait longer – one of my test runs last year was 2.5 days). 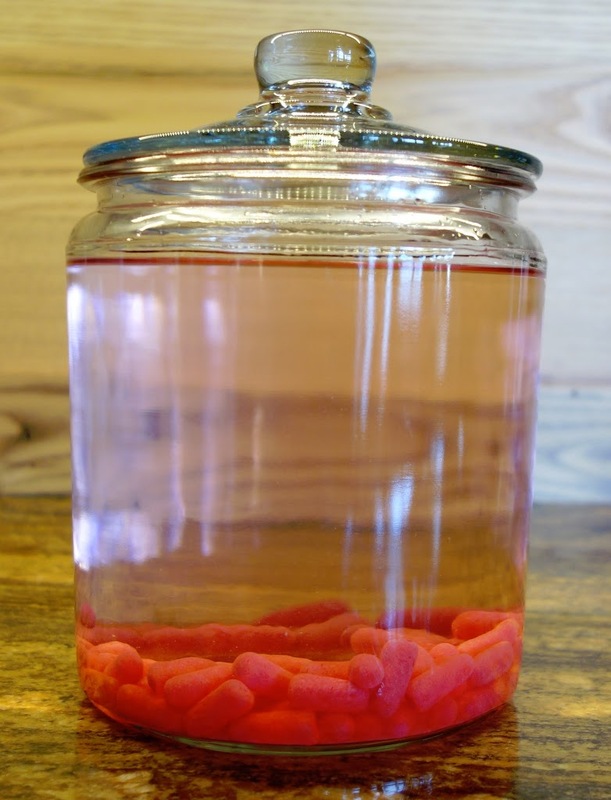 After a day, the vodka will be a brighter red and the chewy centers of the Hot Tamales will look like your fingers after they’ve been in water for three hours. They’ve started to disintegrate too. Now it’s time to clean it up. 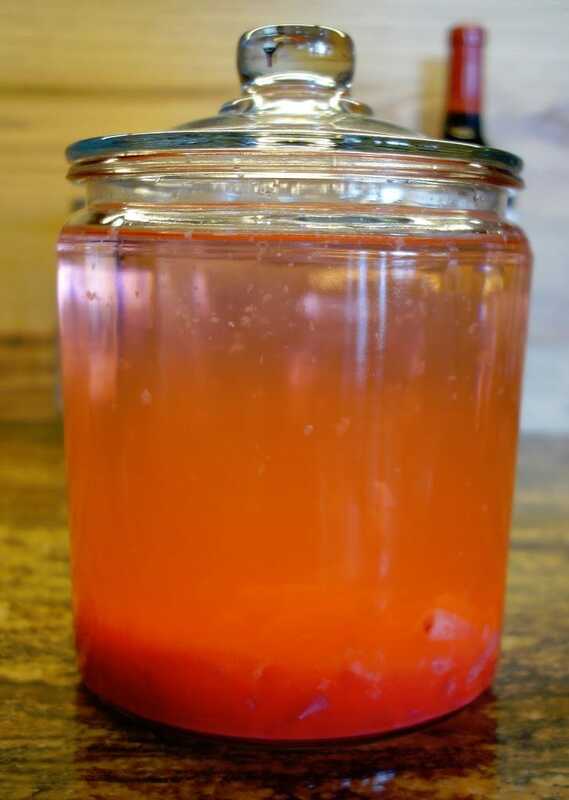 You’re going to pour the elixir through a strainer lined with cheesecloth to get rid of the now spent candy which has given it’s life for the cause. I fold the cheesecloth over four times to make it thicker, then I strain it four times, each time with a new wad of cheesecloth. You may even want to do it more (see below). 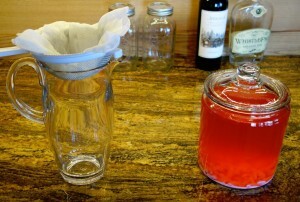 After straining, you pour it into the Ball jars, or something that seals tight and refrigerate. When it’s nice and cold, it’s time to serve up and enjoy. 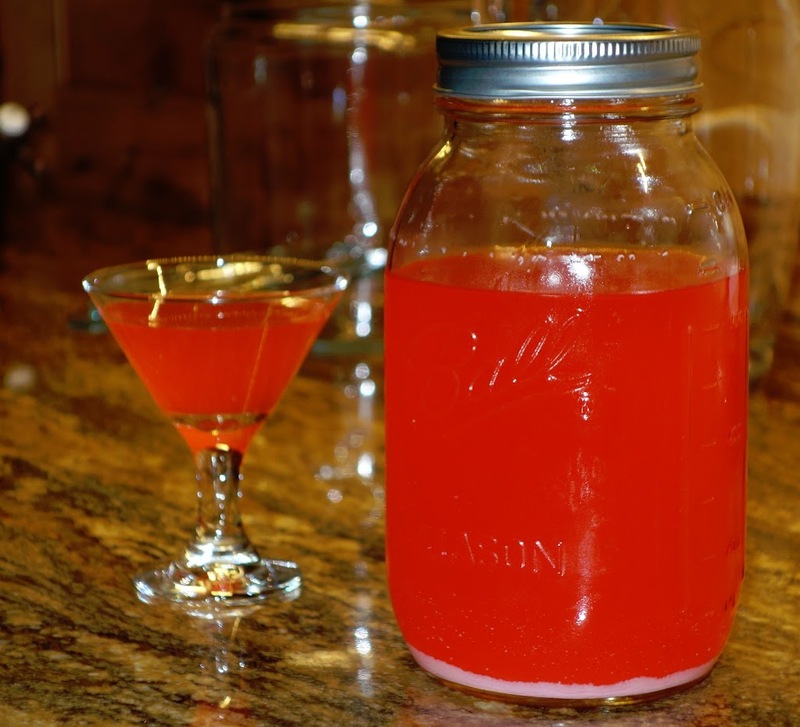 Generally, I serve it straight up in small glasses (see my warnings above – I’m not kidding, take people’s car keys away early in the evening), but you can serve it over ice, with soda or with lemonade. The sky’s the limit. The taste is overpowering, so I wouldn’t bother to mix it with anything subtle. What’s not to love? It’s insanely good. We’d love to hear about cocktails you come up with using the Hot Tamale Infusion. A friend and I whipped up a batch of this lately. Yowza. The cautions above are merited. I’m no fan of Hot Tamales, but this goes down awfully easy. Couple of things: mixing in club soda, at least 1:1, makes it even better – in my case, a lime flavored (infused?) soda, which I figured would “clash,” didn’t. Also, gets one to thinking what other candies would be interesting infusions. Worth a read on this topic, from the NY Times: http://tinyw.in/QvkC. Mmm, bacon. I like the club soda addition – makes it go farther and probably doesn’t reduce the fun at all.